Travel through the magnificent Cascade mountains, past towering waterfalls along the Colombia Gorge on these USA Northwest tours. 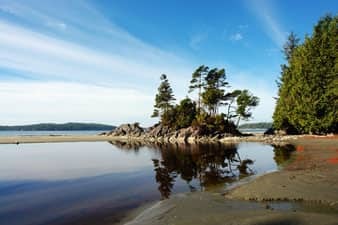 Walk on the ruggedly beautiful Pacific Coast and travel through an enormous temperate rain forest. 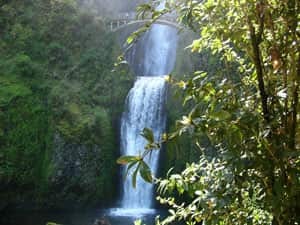 These Oregon and Washington adventure tours take small groups through a unique and delightful part of the world that is rarely visited by outsiders. A great love of adventure travelers and the friendly locals you’ll encounter, the unspoiled Pacific Northwest offers a fantastic array of stunning landscapes, unique environments and charming towns. Visit Oregon’s historic Timberline Lodge on the slopes of a 14,000 ft. Mount Whitney, soak in natural mineral hot springs in Sol Duc, and enjoy the quite beauty of this region with a small group of like minded travelers. 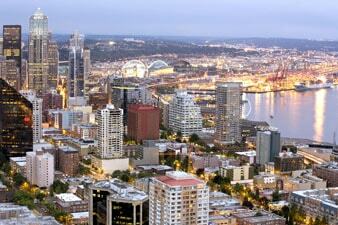 For a longer journey from San Francisco to Seattle, Washington consider the Pacific Northwest Explorer. 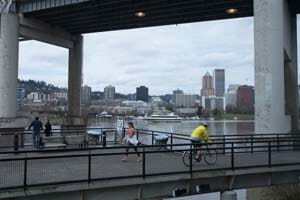 Welcome to Portland, a bright modern city full of unique restaurants, art, and breweries surrounded by natural wonders. You will meet your traveling companions and your guide and driver will share important information and travel documents. 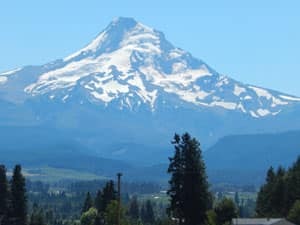 Explore the city on your own, or join us for a side trip to Mount Hood, an enormous snow covered volcano towering above its neighbors in the Cascade mountain range. We will drive the Historic Columbia River Highway, catching breathtaking views of mountains, forests, and the wild Colombia River. We stop at the 600 ft. Multnomah Falls. We will visit the Bonneville Dam and stop for lunch at a mountain lake. Then we will climb to the Timberline Lodge, a National Historic Landmark at 6000 ft. above sea level, built by the Worker’s Progress Administration, it’s a beautiful example of how this Great Depression effort to provide work opportunities held art and craftsmanship in high esteem. Today we cross the border into Washington, the Evergreen State. We will visit Mount. 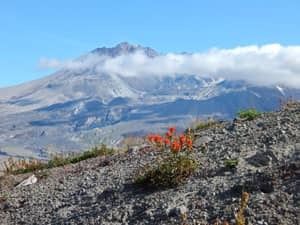 St. Helens, a dramatic Cascade range volcano that covered a 230 miles of the forest region with ash during its last eruption in 1980. Now, the area is protected for scientific study. We will learn about the eruption at the visitor’s center and drive up to the Johnston Ridge Observatory, where we can view the lava dome and pumice planes. We will picnic here, and explore the area on foot. 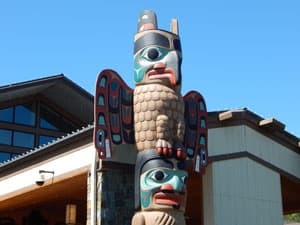 Next we will travel to beautiful Quinault Washington, gateway to the Olympic Peninsula. 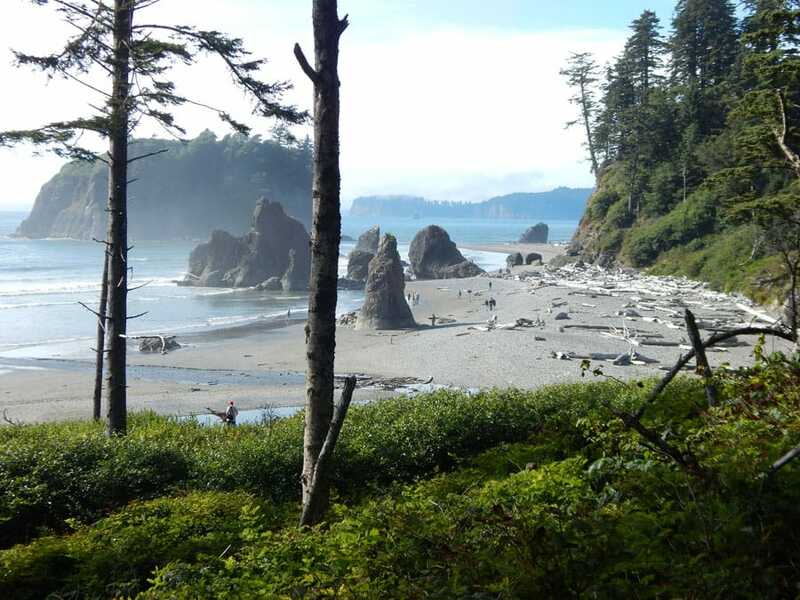 Discover Olympic National park, walk through the Hoh Rain Forest, the largest temperate rain forest in the United States. 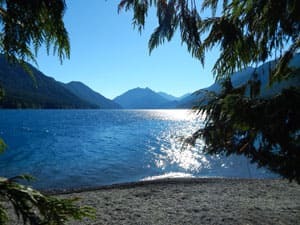 Next we’ll stop at the stop at Rialto Breach, and walk along the beautiful Pacific Coast, then we will drive to the Sol Duc Hot Springs where we will enjoy the natural mineral hot springs and pools. We will spend the night in Sequim, Washington, and jumping off point to the many sights of the Olympic Peninsula. 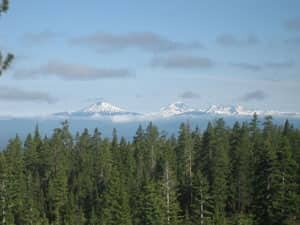 Weather allowing, we will visit Hurricane Ridge one of the most popular places to explore the mountains of the Olympic Peninsula, with views of Mount Olympus, the Strait of San Juan de Fuca, and Vancouver Island. 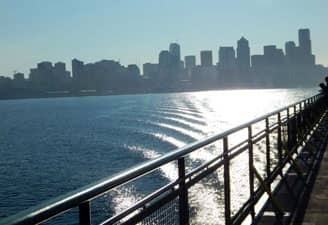 We will picnic here, and tour the area, and then take an afternoon ferry to Seattle, quirky Pacific Northwest city known for its vibrant local culture, the century old Pike’s Place Market and the futuristic Space Needle building. If the weather is not ideal for visiting the Olympic Mountains we will provide tours of this remarkable city. The tour ends today, take the opportunity to explore Seattle home of the 1962 World’s Fair, the Space Needle, world famous coffee, the bright and bizarre art of the Chihuly Garden and Glass Museum, and much more. If you have any questions about our USA Northwest tours, please contact us. Our Northwest Now tour departs 4 times per year (note, one departure is the reverse itinerary, from Seattle to Portland).